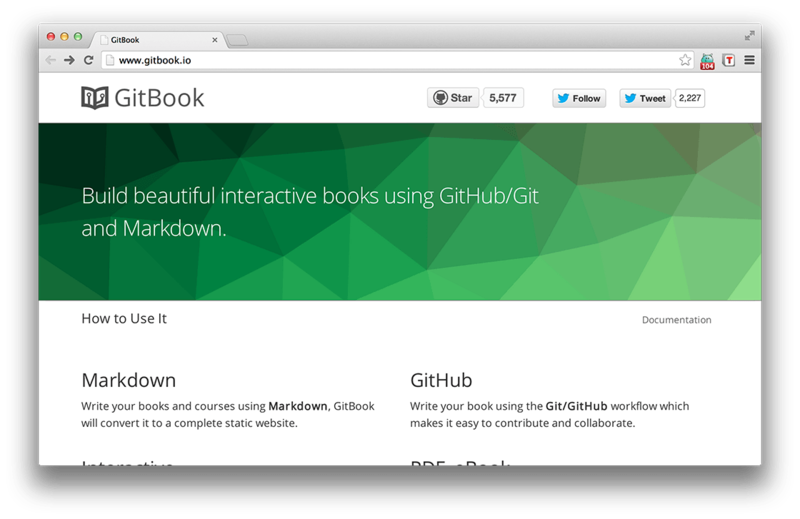 Write your books and courses using Markdown, GitBook will convert it to a complete static website. Installable using npm. 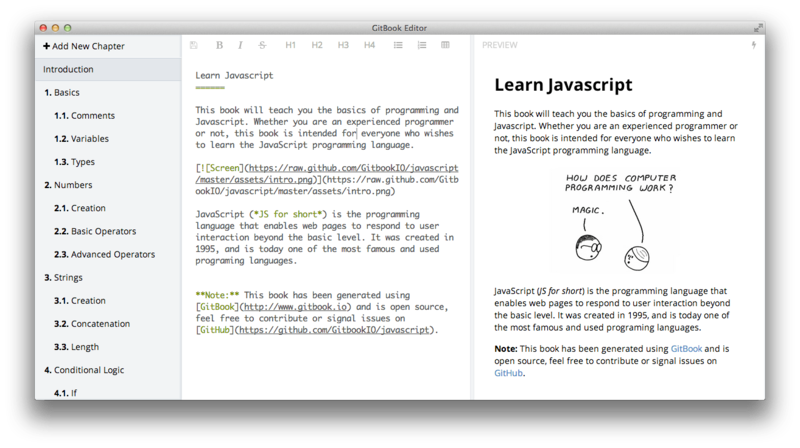 A companion app (pictured below) to create your books – in case you want a live preview along your edits – is also available. Building the book to a PDF/eBook is also possible … strongly considering to rewrite my course materials, already freely available online.